Saturday, May 5 – Cinco de Mayo was one of those perfect racing weather, perfect weather in general days. Several of our athletes raced GBRC’s infamous Haggen to Haggen, as was previewed in last week’s blog HERE! It was really rad to have a large contingent at our local race, celebrating our local grocery store and our local running store, Fairhaven Runners & Walkers. Derek led BDP with a top 3 finish, behind men’s winner Juan Castillo (15:20) and Erik Steiger in 2nd (15:34). David was 3rd in 15:41. Derek helped pace Courtney to a 1st place finish in 17:02 (Derek right alongside, taking 8th M), who was followed by Amber, who PR’d in 17:49. Alma McCurty was 3rd in 18:26. Nikki was 4th with a PR in 19:00; Kathryn was 5th with a PR in 19:11. H2H is such an incredible event – with numerous free goodies, of granola, coffee, cold brew, cookies, chips, popcorn, snack bars, protein bars, coconut water, kombucha and on…not to mention the prizes for 1st-3rd, which entails Fairhaven Runners’ goods, a gift cert, and a gift card to Haggen! Full results HERE! Saturday, May 5 – At the 38th Annual Sunflower Half Marathon, Katelyn took 1st in a time of 1:33:47, 7 minutes ahead of 2nd Place’s Sydney Taylor of Seattle, WA. RESULTS! 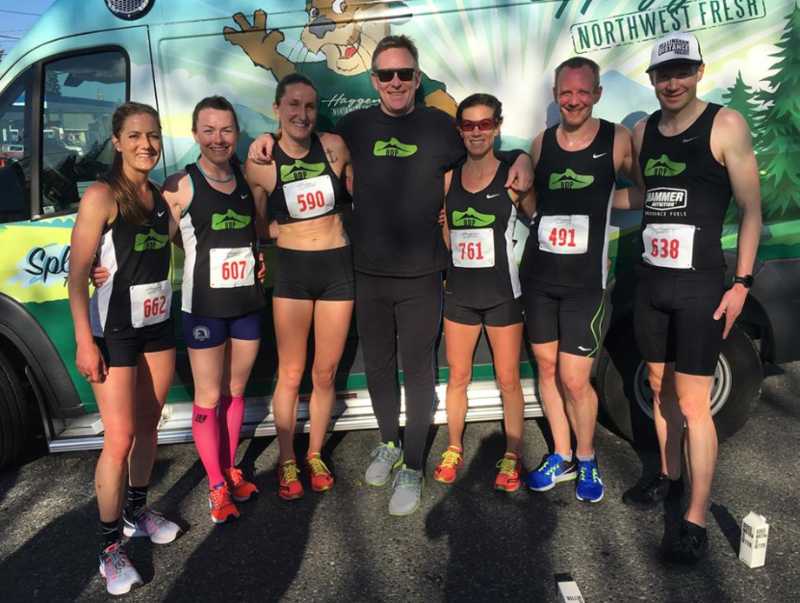 Sunday, May 6 – Hosted by our favorites at the Snohomish Running Company, Rachel raced the Snohomish Women’s Run 10k, taking 2nd in her first race since concluding her first year of PT school. Results HERE! Previous Previous post: Last Wknd When Everyone Ran Awesome & The Wknd Ahead!